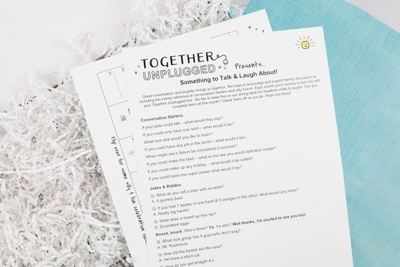 Enter your email address below to receive a notification when Together Unplugged starts accepting new sign-ups! 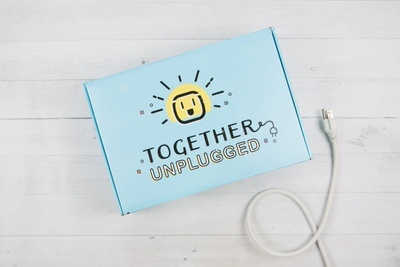 Enter your email address below to receive a notification when Together Unplugged is accepting new sign-ups again. We ship on or before the 4th of each month (unless it falls on a Sunday or holiday). Please order by the last day of the previous month to get the current box. Find Balance Between Smartphone & Family Time. Together Unplugged is a monthly surprise delivery of interactive games & activities that help families unplug, play, & engage together. Best for families with kids ages 6+ Younger kids can play many games with a partner, and will enjoy the conversation starters & silly holiday celebrations! It's all fun & games when you're Together Unplugged! Awesome, uncommon games. There are so many great games that aren't always carried in the "Big Box" stores. We're sourcing the best for you to enjoy with your family. Even better, we record & share homemade tutorial videos, so you can skip the instructions and start playing faster! 100-300 piece jigsaw puzzles. Tactile & engaging, puzzles foster calm, brain-stimulating time together and elicit wonderful conversation. 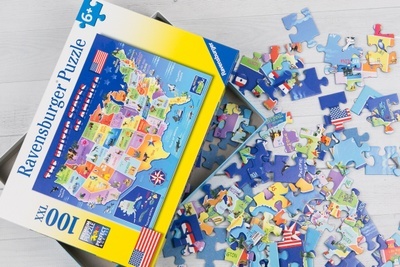 We source high-quality puzzles with larger-sized pieces so younger children can participate and become puzzle-aficionados, too! Variety of fun, interactive activities. 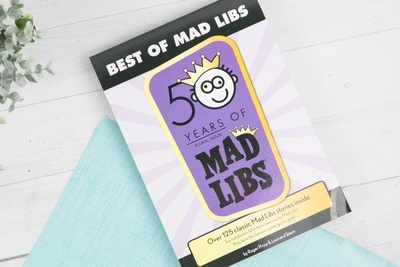 Examples include MadLibs, word & logic puzzles, cooperative challenges, and a calendar of unique holidays to celebrate and mealtime conversation starters. 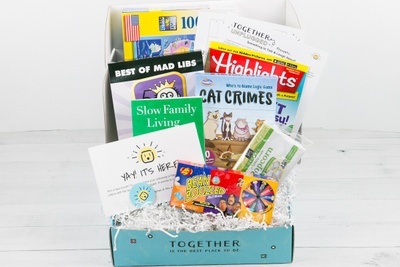 We also host a family photo challenge where one family wins a free box every month! Every new subscriber will receive immediate access to the digital Family Connection Map ($47 value). This course will help your family experience less conflict, better communication, and more joy. Access is provided via an exclusive link in your new subscriber welcome email. 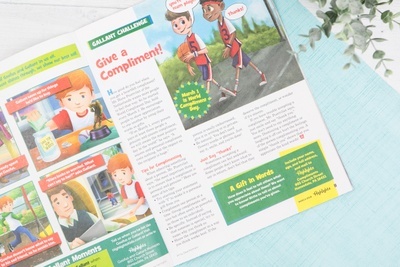 Each box includes an awesome bonus - the current month's print edition of Highlights Magazine! 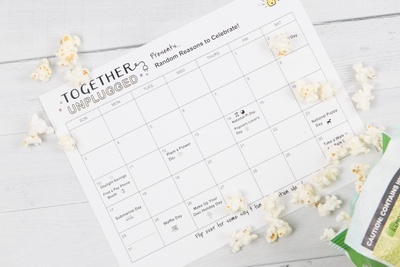 A great way to get Unplugged. I love the variety of options in this box and that it’s fun for my whole family. 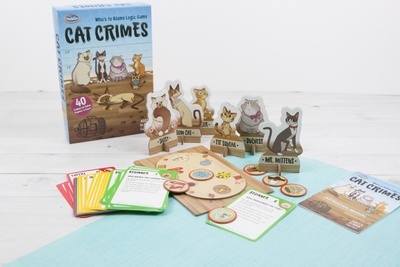 We love a game night so having some new curated items is a blast. 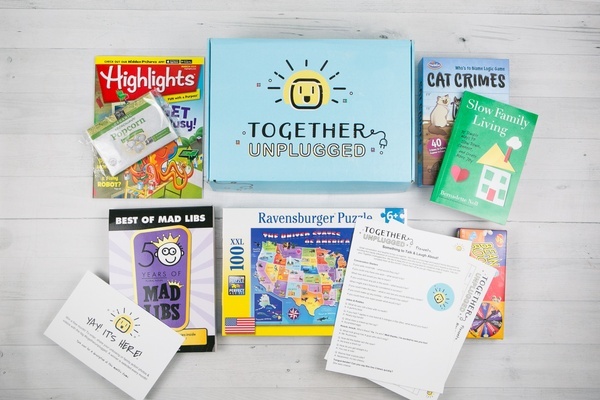 What we know about screen time is that it’s more effective to reduce it if you replace it with other enjoyable activities, this box is a perfect way to do that. This box is everything a family needs these days. Whether the kids are 5 or 15, it has a little something for everyone. The variety and thought put into it is tremendous and a true value. Thank you Together Unplugged! The Walsh Family. 4 kids and EVERYONE loves it! My kids are 8, 4, 2, and newborn and we had fun opening and exploring our box! They all spent at least an hour playing in the crinkle paper. My oldest was most excited about the Highlights magazine which he has claimed as his own, while I was geeking out over the HUGE Mad Libs book and Ravensberg puzzle. Such nostalgia that I’ll enjoy sharing with my kids. 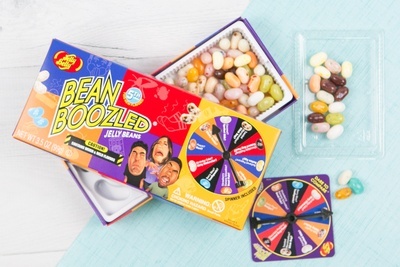 I won’t give away all the contents but know that even my husband will like the bamboozled game simply to see my contorted faces! I am also glad there were extra goodies and Conversation tips for us to use during those quiet moments at dinner and during car rides. So much goodness in one package! I look forward to next month! !